After installed SQL Server 2012 from part 2, is time to install SharePoint Server 2013. Even though SharePoint installer will install all the prerequisites via online, but I sometimes prefer that I have a copy offline, because I don’t like to waste my bandwidth to redownload the installers when I want to reinstall my SharePoint for some reason. There are some PowerShell scripts available in TechNet download, which help us to achieve that. So, get the scripts from there and extract the zip file. After installed and configured Windows Server 2012 from part 1, is time to install SQL Server 2012. Been working on SharePoint (not extensively) for some times now, and it’s kind of interesting and frustrating when come to setting things up properly, and I finally have chance to trial out the latest and greatest of Windows Server and SharePoint. This one would be the simplest of them all, boot the installer and install like Windows 7 or 8. 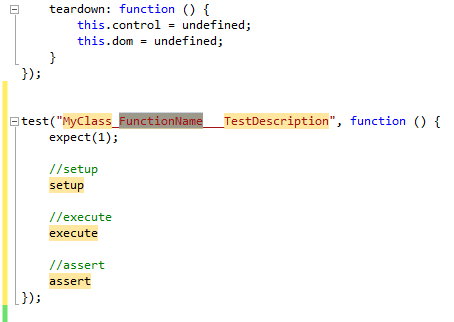 Was doing some proof of concept with RTE plugin like CKEditor or TinyMCE, and ended up with an interest to incorporate a text hints or intellisense for the editor. At first I was trying to use the jQuery Autocomplete, but it tie to a input box, and RTE does not use input box, they use contenteditable DOM element like <body> inside an iframe. And I came across the amazing code editor CodeMirror that came with the amazing autocomplete feature that I was looking for, it pops up nicely where it meant to be, and performance was terrific, but I don’t want dependencies from any of CodeMirror’s code base, and reverse engineering isn’t my strength.